This week, we are pleased to announce some exciting developments starting with a new coin listing on B2BX Exchange. 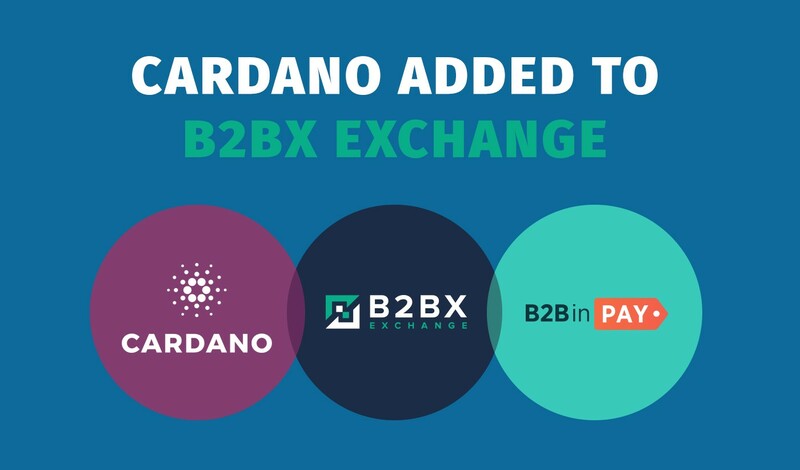 For those not already aware, Cardano (ADA) is now listed on B2BX exchange and is available to buy and sell for trading purposes. A highly popular coin, Cardano ranks inside the Top 10 coins by market capitalisation due to its stability, technology and long-term potential. Artur Azizov, B2Broker CEO commented, “Positive news always affects the markets and news of our latest addition has impacted on the price of B2BX token with the latest technical analysis from coincheckup.com indicating our token as a “strong buy”. Next we would like to inform you that we now offer a BTC nominated margin trading account, an option which will be welcomed by B2Broker clients (brokers). It is now possible to access over 800 trading products/instruments on one single multi-currency marginal account with 7 asset classes including Cryptocurrencies, Forex, Metals, Indices, Commodities, CFD Shares and CFD ETFs. Learn more about the advantages of our BTC nominated margin trading account here. Finally, we would like to inform you that there is now an Arabic version of our website ready for our Arabic-speaking clients. Check it out here. That sums up our news for this week. Please get in touch if you have any questions! We wish you a great week ahead!